Our fourth mayor earned his position by killing a rebel. Each month in the run-up to the municipal election on October 27, Torontoist will profile one of the 64 people who served as Mayor of Toronto—people who shaped the city, displayed colourful personalities, or managed to do both. A pistol blast secured John Powell’s place in Toronto history. Shooting his captor during the Rebellion of 1837 made Powell an instant hero to those opposed to the aims of the rebels, and paved his way to becoming the first mayor to serve more than one term. Yet due to the weakness of his office during his term, Powell’s actions in December 1837 outlived any accomplishments at City Hall. Born in 1809, Powell belonged to the Family Compact, the conservative clique that controlled Upper Canada during the first half of the 19th century. His grandparents included Battle of York militia leader Aeneas Shaw and Chief Justice of Upper Canada William Dummer Powell. The younger Powell carried on the family’s legal service when he was called to the bar in 1835 and appointed as a judge soon after. Powell gained notoriety in 1836, when he was named in a provincial vote-rigging scandal. Lieutenant-Governor Sir Francis Bond Head, aka “Bone Head” (both as a play on his name and his boneheaded governing skills) wasn’t shy about voicing his opposition to reform candidates favouring responsible government, and attempted to prevent the election of figures like William Lyon Mackenzie. Head was accused of allowing Family Compact loyalists like Powell to buy vacant land in Port Credit solely to round up more votes against Mackenzie. The tactic worked—the reformers were trounced, and Mackenzie lost his riding by 100 votes. Powell himself entered politics the following year as a city alderman for St. Andrew’s Ward, whose boundaries were present-day Bathurst, King, Queen, and Yonge streets. Rebels drilling in North York in Autumn 1837. Illustration by C.W. Jefferys, The Picture Gallery of Canadian History Volume 3 (Toronto: Ryerson Press, 1950). Powell’s moment of destiny arrived the evening of December 4, 1837. With rumours spreading regarding trouble connected to Mackenzie brewing north of the city, Powell issued weapons to special constables at City Hall, which was then located on the present site of St. Lawrence Hall. 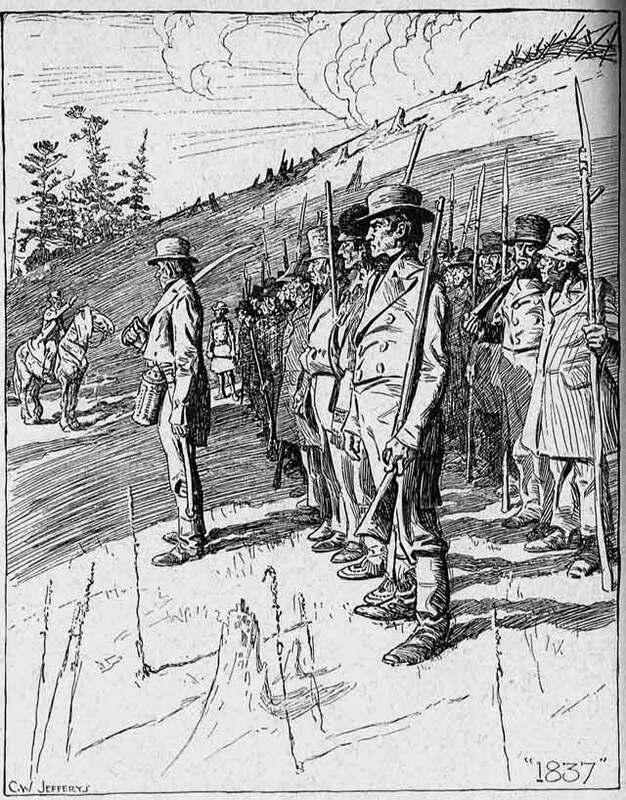 After officials suggested to Powell that he might be more useful on horseback patrol, he rode north along Yonge Street, until he and a companion were captured by Mackenzie and other rebels just above Gallows Hill (the slope between St. Clair and Summerhill). While Mackenzie continued down Yonge, Powell was led towards Montgomery’s Tavern by Anthony Anderson, who was considered the military brains of the uprising. On their way north, Powell’s captors failed to stop another loyalist rider, who, during a brief encounter, confirmed the killing of Colonel Robert Moodie by the tavern. Anderson forced Powell to ride in the lead, threatening to kill him if he tried to escape. The party rode a short distance before Powell had had enough. He pulled a pistol hidden in his coat, turned around, and fatally shot Anderson in the neck. As Anderson fell off his horse, Powell galloped back down Gallows Hill. He kept on. I followed and fired over my horse’s head but missed him. He slackened his pace till his horse was beside mine, and while I was expostulating with him, he suddenly clapt a pistol quite close to my right breast, but the priming flashed in the pan, and thus I was saved from instant death. The newly minted saviour of Toronto from the dastardly rebels quickly capitalized on his fame. He was re-elected to city council in January 1838. At the time, the public only directly elected councillors—until 1859, the mayor was chosen at the first meeting of the new council. By a 10–7 vote, Powell assumed the mayoralty on January 12, 1838. 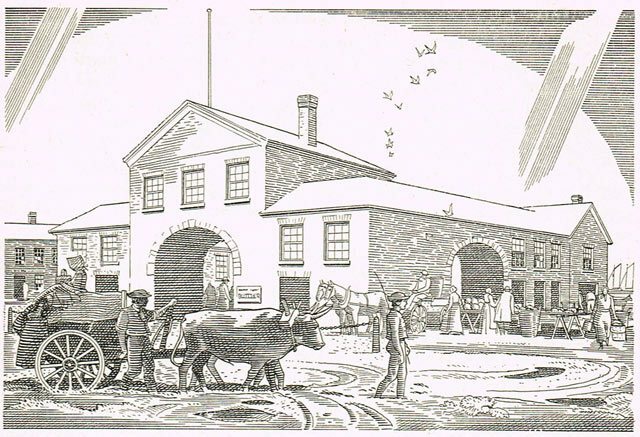 The market building, which served as Toronto’s first City Hall, now the site of St. Lawrence Hall. Illustration by Charles Comfort, Toronto’s 100 Years (Toronto: City of Toronto, 1934). During Powell’s era, mayors were little more than glorified councillors, and none had sat for more than a single year-long term—as such, accomplishments during this period tend to be credited to council as a whole. References to Powell in the council minutes involve little more than his name applied to official letters to the Lieutenant-Governor. Rebellion fallout dominated Powell’s first year in office. He was no fan of the remaining rebels, referring to them as “a licentious and rapacious enemy.” The permanent police force was enlarged as threats of further uprisings continued. Out of fear of “an immediate invasion of this Province and an attack upon this City by the Rebels and Pirates,” council approved a motion brought by Powell’s predecessor, George Gurnett, in November 1838, to organize committees in each city ward that would request that “every loyal inhabitant of this City who is not already enrolled in some organized Corps or Company will immediately volunteer his services for the defence of his country and his home.” Imagine if city council had implemented a similar policy to combat protestors during the G20 in 2010. During the January 1839 mayoral vote, council broke precedent and handed Powell a second term. He was elected again in January 1840, but for reasons we couldn’t determine, it took nine votes and a rejected adjournment. The primary accomplishments during the rest of Powell’s tenure were the creation of a standing committee to look into building gas and water infrastructure, and the provincial handover of waterfront land that became The Esplanade. Though re-elected as an alderman in January 1841, Powell rarely attended council meetings and resigned that September. 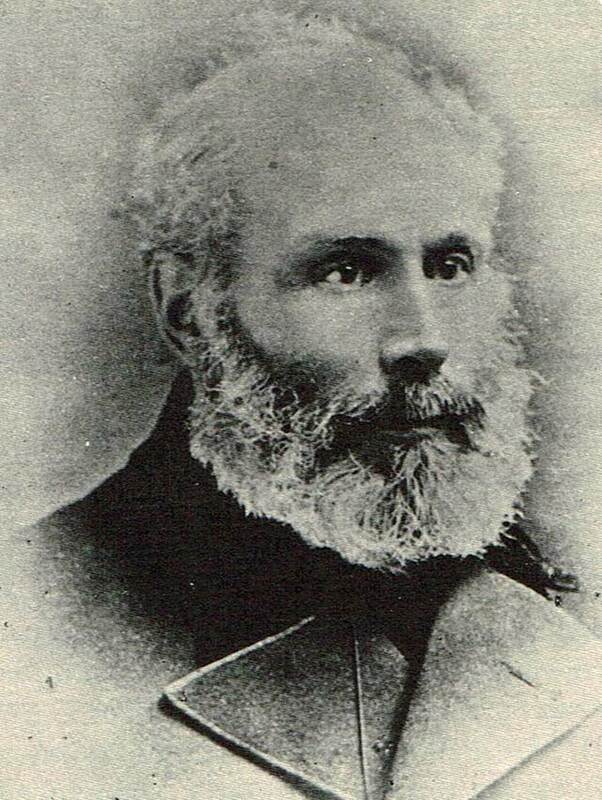 He remained a local judge until he was appointed registrar of Lincoln County (now part of Niagara Region) in 1844. A biographical sketch published in 1880 indicated he was well liked in that role: “He seems to have kept out of politics; has secured and retained the good will as well as the confidence of all parties and all classes of people, and has the warm esteem of a very large circle of acquaintances.” Powell died the following year. Additional material from The Firebrand by William Kilbourn (Toronto: Clarke, Irwin, 1956); The Canadian Biographical Dictionary and Portrait Gallery of Eminent and Self-made Men: Ontario Volume (Toronto: American Biographical Pub. Co., 1880); The Rebellion of 1837 in Upper Canada, Colin Read and Ronald J. Stagg, editors (Don Mills: Carleton University Press, 1985); Mayors of Toronto Volume 1 1834-1899 by Victor Loring Russell (Erin: Boston Mills Press, 1982); “Copy of a Despatch from Sir F. B. Head, in Answer to Charges preferred against him by Dr. C. Duncombe, in a Petition presented to The House of Commons on the 19th August 1836; together with a Copy of Lord Glenelg’s Reply thereto” (London: House of Commons, 1837); the November 22, 1838 edition of the British Colonist; and the Toronto City Council Minutes of November 15, 1838 and December 10, 1838.